Studies have found that 80% of all Americans will have low back pain at least once in their lives. Most of us have chronic back pain and do not want to resort to pills, are tired of the chiropractor, and are ready to try other methods of relieving back pain. Here are 7 natural ways to find relief from back pain, along with tips that may prevent back pain in the future. Regular visits to the acupuncturist can keep you feeling great! 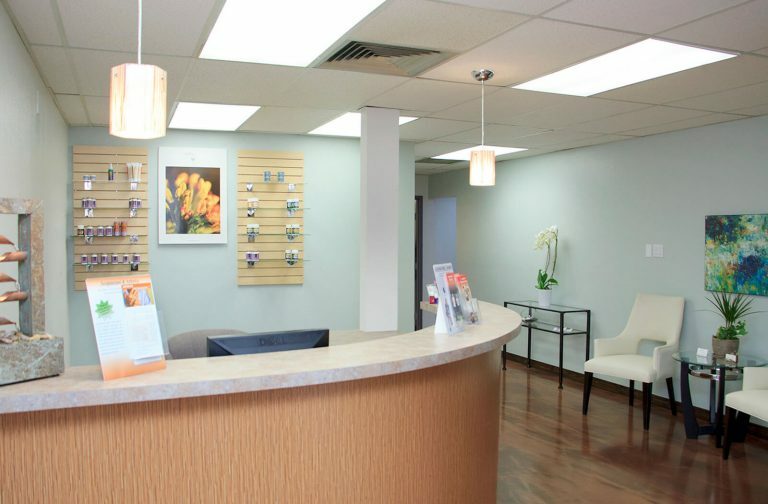 At Endpoint Wellness we treat the underlying cause of your back pain using the best practices from Eastern and Western Medicine. Back pain may result from a postural issue, muscle imbalance, vertebral fixation or disc problem and getting the pain and inflammation under control is our first priority. The next step is to get you moving again and we do this with supervised corrective exercises. Temporary solutions such as heating pads and over-the-counter drugs do not treat the underlying cause of your back pain. Instead, they simply cover up the pain temporarily. We all know how good it feels to do a big stretch right when we get out of bed. That’s because stretching loosens tense muscles that have been resting all night. The same goes for the rest of your body. When it comes to back pain, there are many stretches that can help alleviate the pain. However, it is important to talk to your doctor if you have chronic back pain, as some stretches may make the pain worse. When stretching, it is important to be gentle and gradual. You should not experience pain while stretching as this can do more harm than good. Once you find the stretches that are best for you, regular stretching can ease back pain quickly and effectively. Most of us spend a majority of the day sitting. Whether it is at work, in the car, at school or watching television, all of this sitting puts a lot of pressure on the spine. Overtime, bad posture can lead to pain in the neck, shoulders, and back. To prevent this, consciously practice good posture. Good posture means having your feet flat on the floor, back straight, shoulders back, and neck straight. If you are short, it may help to place a small stool for your feet to rest on while sitting. This reduces the amount of pressure on your spine and surrounding muscles and ligaments. It is a good idea to get up every 30 minutes to stretch and move around. This keeps your bones, joints, and muscles from stiffening up and also stimulates the oxygen flow to the brain, making you feel more energized and alert. Everyone has a unique sleeping position. Although some may be more comfortable than others, the best sleeping position is on your back. Sleeping on your back is ideal for neck and spine health because it keeps the back straight and aligned. Side sleepers and stomach sleepers may create an unnatural curve in the spine which creates a lot of pressure. Sleeping on your back also allows your mattress to do its job of supporting your spine. Some individuals may find this position more comfortable by placing a pillow underneath your feet. If you absolutely can’t sleep on your back, sleeping on your side with a pillow between your knees can help your muscles to relax and helps reduce pressure on the spine. If neither of these positions work for you, sleeping on your stomach with a pillow under your lower and pelvis abdomen can help reduce the strain on your spine. It’s no secret that individuals who are active tend to live a healthier life, experience less fragility, loss of mobility, injuries, and inflammation. Individuals who are active tend to experience less aches and pains and have more energy throughout the day. Inactivity can cause spinal discs and back pain to become increasingly painful over time, since sitting causes muscles to weaken and puts more pressure on the spine. This is especially harmful if you are overweight. Staying active doesn’t mean you have to train for a marathon. In fact, simple activities like walking, swimming, dancing, and cycling are all low-impact exercises that help keep your body in optimal health. As mentioned before, stretching is also a great option as it keeps muscles, joints, and bones loose, improves flexibility, reduces stiffness, inflammation, and pain. Foam roller exercises are also known as self-myofascial release. The benefits of this exercise can be similar to the benefits of massage therapy and stretching. Foam rolling can help eliminate adhesions in your muscles and connective tissues, increase blood flow to your muscles, create better mobility, help with recovery, and improve performance. Foam rolling is not safe for everyone, and should not be used by those with a herniated disc. Medical doctors used to prescribe patients with back pain to simply lie down and rest in bed. We now know that lying down in bed is one of the absolute worst things you can do if you suffer from back pain, as it can lead to severe stiffness, soreness, and other complications. If you have an occasional back ache, try not to rest in bed for no more than one or two days. It is important to keep your body moving regularly, even if it is for five to 10 minutes at a time. This helps loosen muscles, relieve joint pain and provide overall optimal health. At Endpoint Wellness, we offer solutions for back pain in the local Albuquerque area.